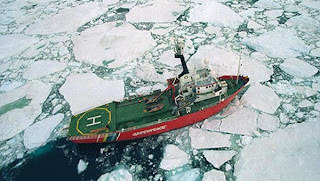 MOSCOW, August 21 (RIA Novosti) – The Russian administration controlling use of an Arctic sea route banned a Greenpeace ice-breaker in the region to protest Russian oil exploration in the area from traversing the route, the environmental group claimed Wednesday. The Northern Sea Route Administration cited Greenpeace’s failure to provide information about the Arctic Sunrise's ice belt, which protects the vessel when it moves through pack-ice. The refusal letter, dated August 18, is available on the administration’s website. However, Greenpeace said in a statement that the information about the Arctic Sunrise’s ice belt was in the set of documents submitted to the administration. 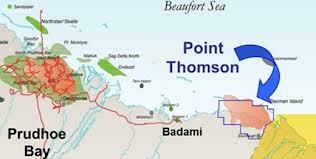 The group also claimed this is the third time their ship – which arrived in the Russian Arctic last week – has had its application rejected by Northern Sea Route Administration on technicalities. “This is a thinly veiled attempt to stifle peaceful protest and keep international attention away from Arctic oil exploration in Russia,” Greenpeace said. The Northern Sea Route Administration redirected all queries to Russia’s Transport Ministry, which did not return a request for comment in time for publication. The Arctic Sunrise, built in 1975 and with a track record of Arctic voyages, was heading for the northern Kara Sea to protest the operation of six oil exploration vessels owned by the Russian state-owned oil giant Rosneft. 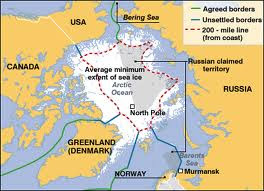 Rosneft, along with state company Gazprom, plans to drill for oil on the Arctic shelf. Greenpeace and other environmental groups oppose it on the grounds that a potential oil spill in the Arctic would be impossible to clean up using existing technologies. The Arctic Sunrise tracked a Rosneft research ship for two days last week in the northern Barents Sea. The Rosneft ship eventually returned to the port of Murmansk, but the company denied it was reaction to Greenpeace’s protest.